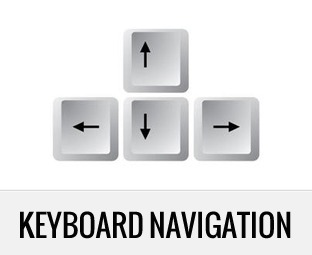 Keyboard navigation make visitors experience at websites more easy and faster. I saw few websites with Keyboard navigation and found it was quickest and thought to implement it on my website too. Below i will be showing you how you also could implement it on your website powered by WordPress. Open the single.post.template.html file under theme template folder and add the below code after the content. Go ahead, try it. Hit the left-arrow ← to view the previous post and right-arrow → to view the next post. You’ll be amazed at just how quickly you can navigate through the posts. Thanks for this Articles. Gracias al equipo.